To meet the increasing food, feed, and fodder requirements; the world have deployed intensive agriculture which uses green revolution technology, characterized by excessive use of high yielding varieties, chemical fertilizers, pesticides, and irrigation water. While the gain in agricultural production has been very impressive, the input intensive agriculture has resulted in several undesirable effects on the environment and the overall sustainability of the farming systems. The use of synthetic pesticides has severely affected both the abiotic and biotic components of the environment. While the former is exemplified by pesticide residues in soil, air, water, food etc., the latter includes phytotoxicity, physiological deformities, diseases, mortality, population changes, genetic disorders, gene erosion, etc. in plant, mammal, avian, insect and other organisms. The entry of chemical pesticides into food chain and their bioaccumulation triggers several unforeseen consequences. The environmental safety and agricultural sustainability are equally important for survival on the Earth. This is where biopesticides come into the picture, which may be considered as one of the components required to protect the environment and render sustainability to the agricultural production. Biopesticides are made from naturally occurring substances that control pests by non-toxic mechanisms and in an ecofriendly manner. They may be derived from animals (e.g. nematodes), plants (Chrysanthemum, Azadirachta), and microorganisms (e.g. Bacillus thuringiensis, Trichoderma, Nucleopolyhedrosis virus). Hence, biopesticides pose less threat to the environment and human health. Biopesticides are often formulated to only affect the target pest and closely related organisms (selective) in direct contrast to chemical pesticides which frequently offer broad-sweeping coverage (non-selective) that will negatively impact insects, birds, and anything else that comes in contact with them. Moreover, they decompose quickly and do not negatively impact surface water and ground water. They are typically effective in small quantities, which eliminate pollution concerns sometimes associated with conventional pesticides. They have been used as an effective pest management strategy for organic crop production. 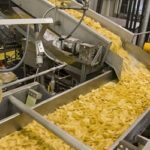 Also, their use has increasingly been recommended as a part of Integrated Pest Management programs to reduce the use of conventional pesticides while maintaining high yields. 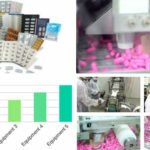 Thus, increasing environmental and public health hazards due chemical pesticides and growing awareness about environmental safety as well as other advantages associated with the use of biopesticides, fueling the demand of biopesticides across the globe. 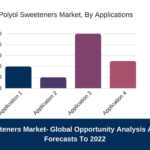 Considering the growing demand, many new products are being developed, new companies founded, and alliances and distribution agreements established in the biopesticides market. The larger agricultural companies are now investing in biocontrol, R&D and product development, investment in field trials, and marketing to cash on the opportunities in biopesticide market. 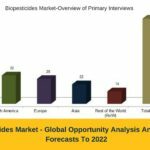 Bioinsecticides, biofungicides, and bionematicides are rapidly growing market segments and their demand is expected to boost further in the near future. 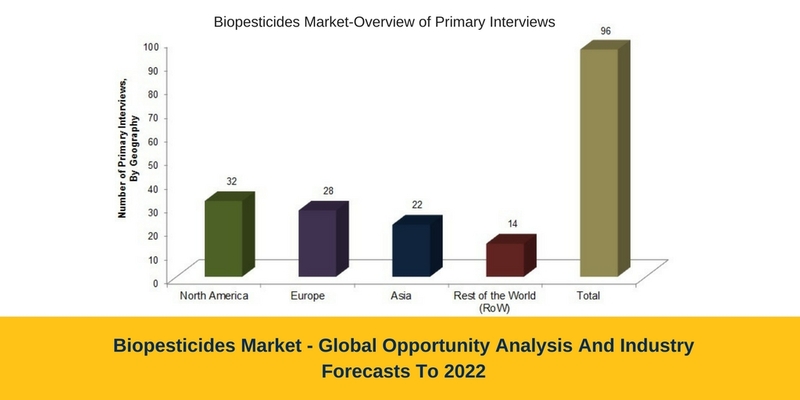 The global market for biopesticides is expected to reach USD 7,626.3 million by 2022, according to Meticulous Research.